Inquest Law for Nurses | Nurses Defence Service – UK. Nurses will from time to time be called to attend an inquest to give evidence on the treatment and care of a patient who has died. 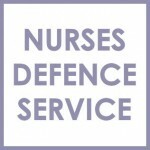 Nurses Defence Service can give advice to nurses and attend inquests with nurses in order to assist and represent them. Our lawyers are experienced in representing nurses at inquests. Attending an inquest can be a nerve-wracking in experience for most nurses. Few nurses have to testify in a court to explain their own or their colleagues’ care of a patient who will have died, possibly as a consequence of neglect or failures to deliver appropriate care. Inquest inquiries on occasions identify systemic failures to provide appropriate care for a patient or patients. A Coroner may make public recommendations where the failings could lead to future deaths or significant harm. Some nurses may be found to have caused or contributed to a patient’s death, through a failure to provide appropriate nursing care, by having failed to call a doctor when there was a marked and obvious deterioration, or by inappropriately administering too much of a drug. Nurses have been held responsible for the deaths of both adult and child patients. In one example, to children’s nurses gave 10 times the amount of anticoagulant than was prescribed, and the baby who received the dosage subsequently died. In another case, two nurses were found to have caused the death of an adult patient by incorrectly administering a fatal dose of insulin. Where death occurs, the police are also likely to investigate whether there has been any foul play or negligence that is so gross that the nurses should be charged with gross negligence manslaughter. An NMC referral is also likely in such circumstances. For more information, read our summary of the standard Inquest Procedure in the UK.